John Smith ‘Jock’ Garden was born on 13 August 1882 at Nigg, Kincardine, Scotland, the second son of Alexander Garden, of Lossiemouth, and his wife Ann, nee Smith. In Melbourne, Victoria, on 6 May 1907 he married Jeannie May Ritchie from Leith, Scotland, and had two sons and two daughters. He died on 31 December 1968and was cremated with Churchof Christforms. Jock Garden was educated at Lossiemouth School and was apprenticed as a sailmaker before his family migrated to Melbourne in 1904. He became a Church of Christ minister at Harcourt, Victoria and later a Baptist preacher at Maclean, New South Wales. By 1909 he was a member of the Labor Party. In 1914 he was working as a sailmaker in Sydney, and became president of the Sailmakers Union and delegate to the Labor Council of New South Wales. From 1915 until his dismissal in 1917 he was employed by the Department of Defence. From 1918 to 1934 he was secretary of the Labor Council. He was a member of the Socialist Party of Australia and the Industrial Socialist Labor Party and initiated the formation of the Communist Party of Australia. He edited Pan-Pacific Worker and the Labour Council of NSW Journal. Despite his non-conformist beliefs and fiery oratory at Sydney Domain, Garden remained a Deacon of the Church of Christ and maintained his aversion to alcohol. Garden was elected a member of the House of Representatives for Cook from 15 September 1934 until his retirement on 21 September 1937. Like Eddie Ward, he was a member of the NSW Lang Labour Group which merged into the Federal Labor Party in 1936. 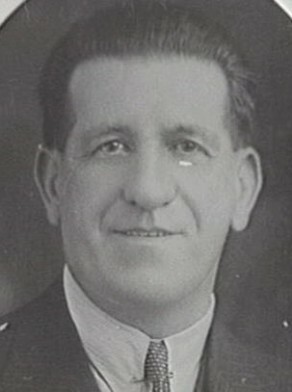 Jock Garden re-joined the Labor Party and was elected Alderman for Flinders Ward, 18 June 1930 to 2 December 1934. He was a member of the Finance Committee, 1930-34, the Works Committee, 1930-34, the Health and By-Laws Committee in 1930 and the Electricity Committee, 1931-34. Bede Nairn, ‘Garden, John Smith (Jock) (1882–1968)’, Australian Dictionary of Biography, National Centre of Biography, Australian National University, http://adb.anu.edu.au/biography/garden-john-smith-jock-6274/text10811, accessed 16 January 2013. City of Sydney Archives: Aldermen’s Files; Photo: CRS 54/79; and Sydney 1842-1992, p. 164.